This post is sponsored by Wild Dunes Resort. All opinions are my own, as always. With baby #1 (Kane), we chose not to take a babymoon of any kind, and I’ve regretted it ever since. So I pushed for a beach babymoon this time around with baby #2. 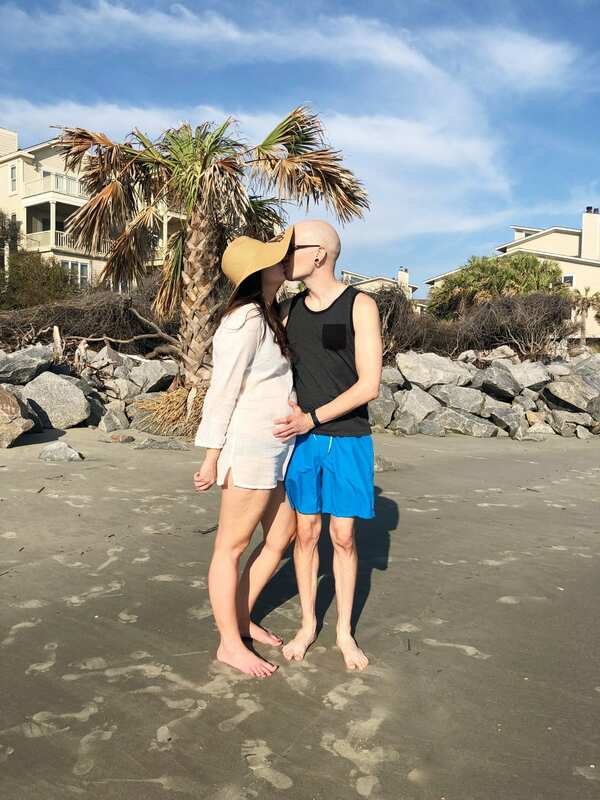 Chauncey’s work schedule has been a little crazy, but we ended up planning a last-minute trip that started with a beach babymoon. 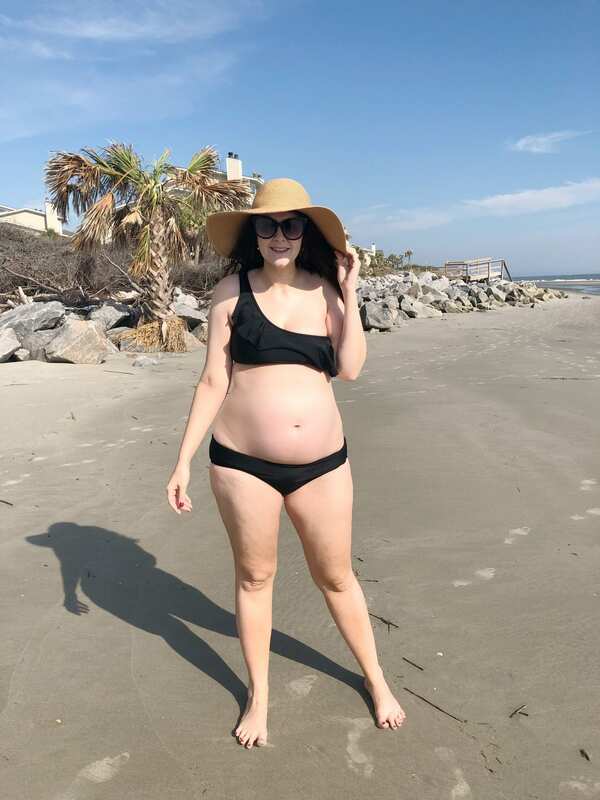 Our first stop was a 3-night stay for a fall beach babymoon in Charleston, SC. Charleston is only an 8-hour drive from Lexington, so it was an easy trip to make without having to worry about scheduling a flight. We were also looking for a beach babymoon destination without any Zika advisories. If you’re planning a babymoon, I recommend going during your second trimester. I was 21 weeks pregnant when we took our babymoon. 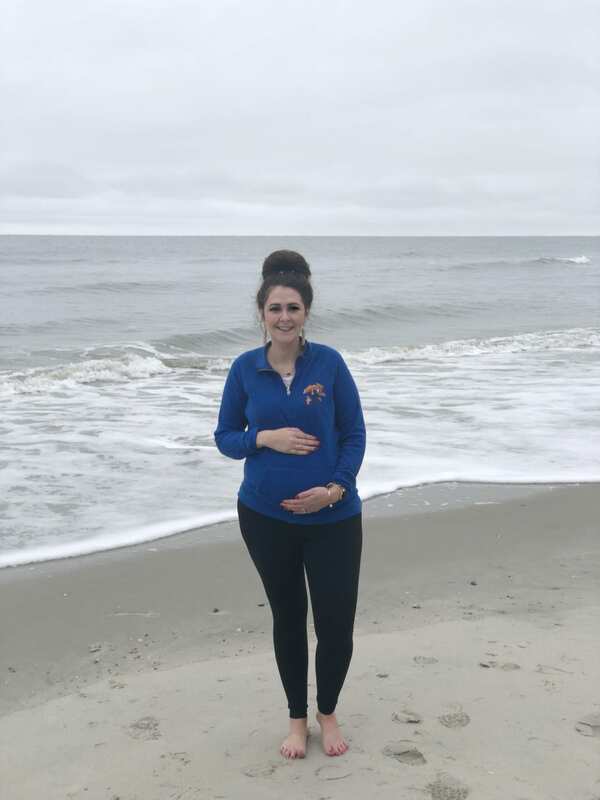 The second trimester tends to be the best/easiest trimester of pregnancy, as you’re typically over the morning sickness and exhaustion that comes with the first trimester. And the exhaustion kicks back in during the third trimester, along with tons of bathroom breaks. I think the second trimester is a sweet spot for travel. Plus, the closer I get to my due date, the less I want to travel away from my doctor. 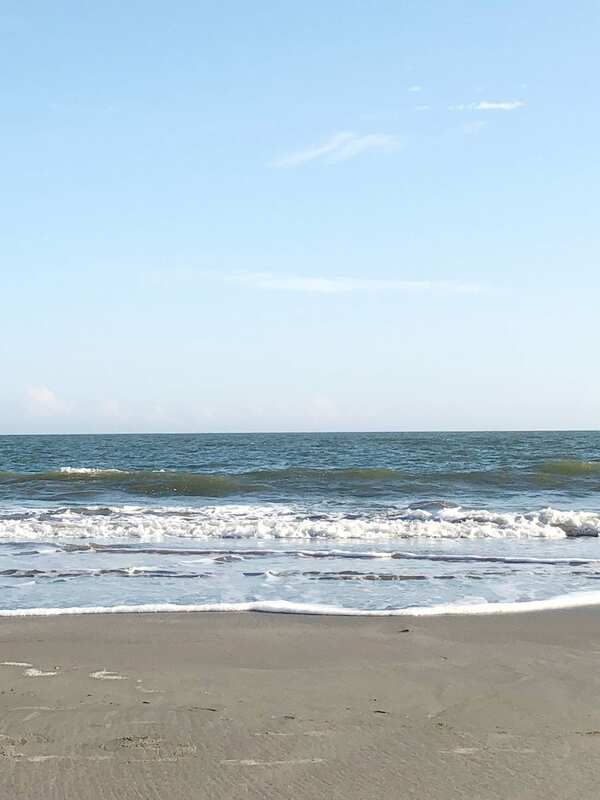 We frequently visit Charleston (at least once a year), and we always choose to stay on the beach. 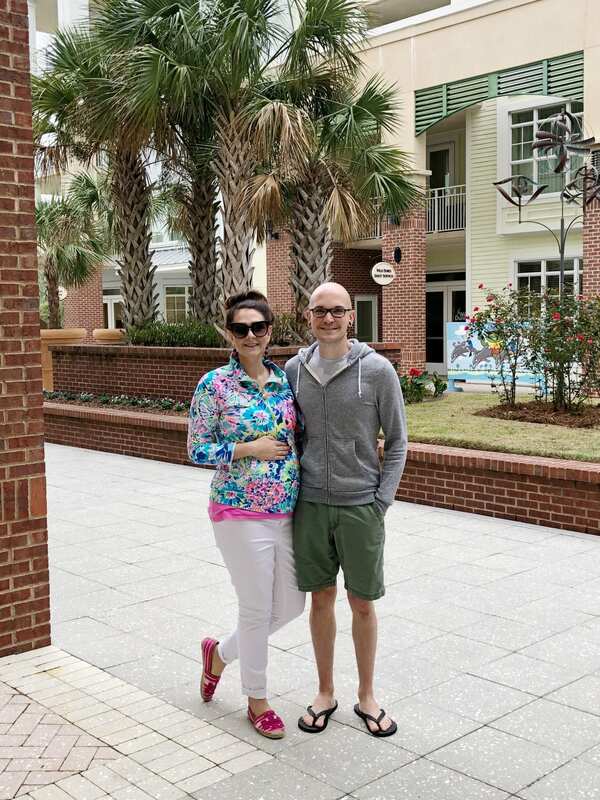 For our hotel accommodations for our babymoon, we decided to stay right outside Charleston, SC at Wild Dunes Resort, located in Isle of Palms. 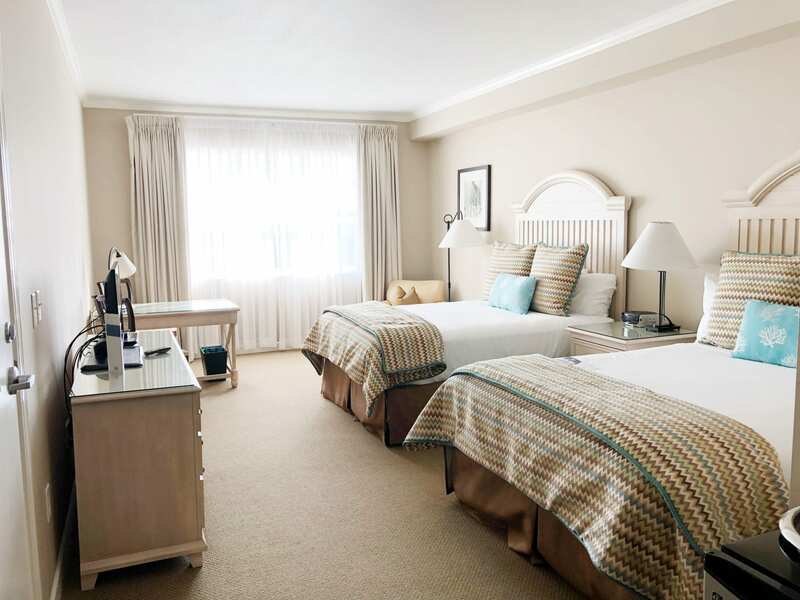 The resort is about 25-30 minutes outside of downtown Charleston. 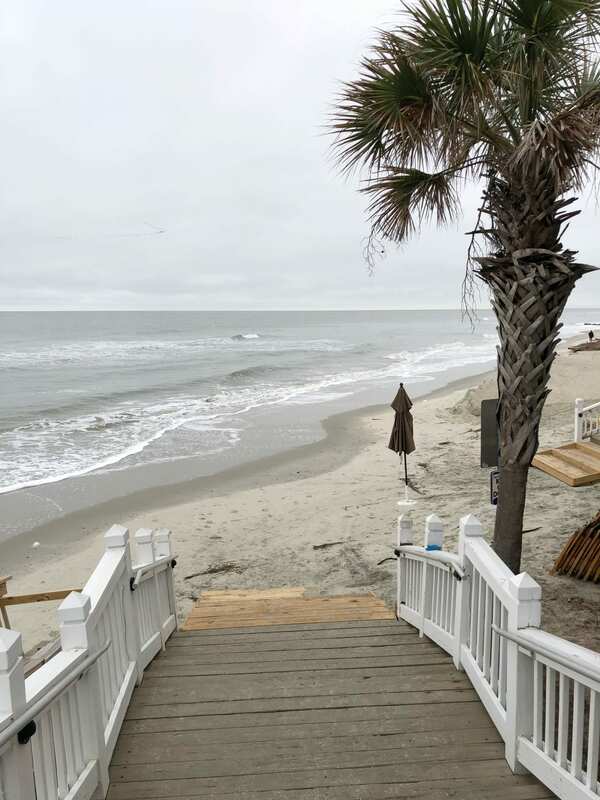 Wild Dunes Resort has several options for rentals–single rooms, suites, condos, and beach houses/cottages. One big draw for me is that there were places to eat and limited shopping at the resort. We did go off-season, so a few of their restaurants were closed. The ones we did try were delicious. 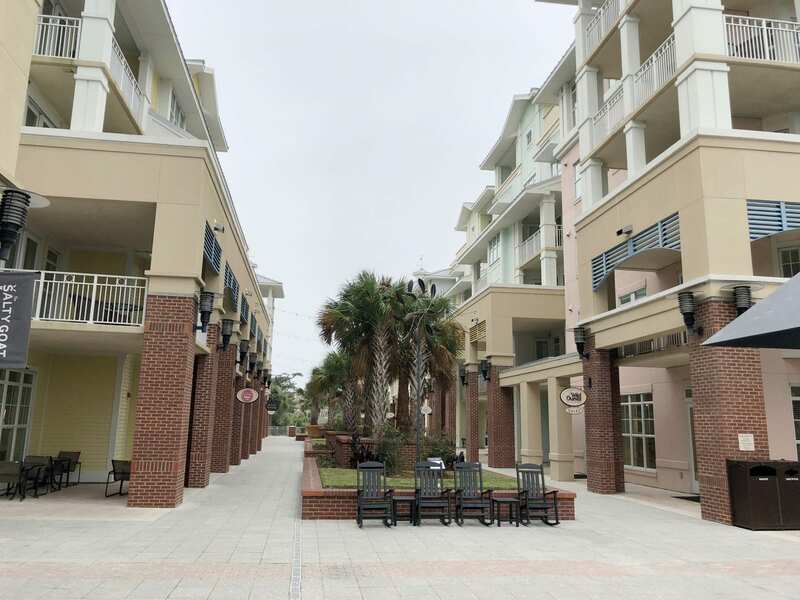 The Village is about 350 yards back from the beach, so it’s a quick walk down to the boardwalk area by the beach. There are also several pools sprinkled around the resort. 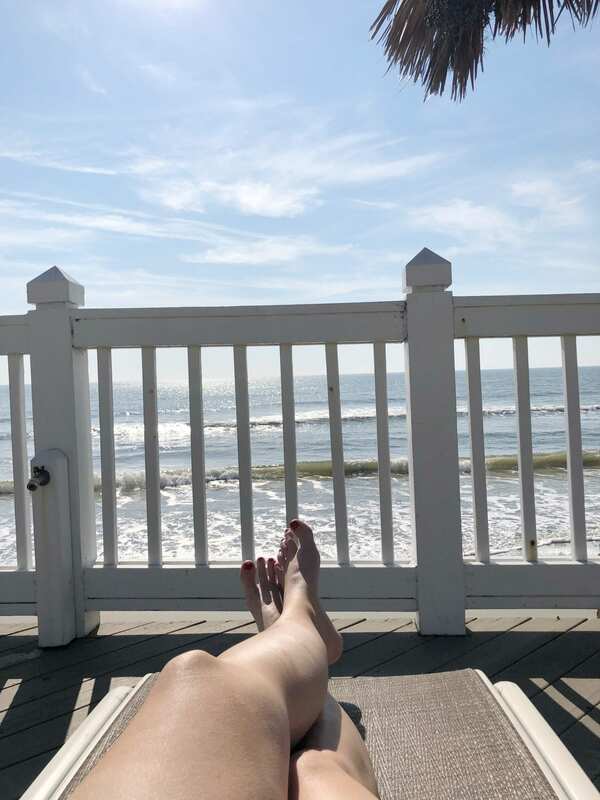 We would definitely stay at Wild Dunes Resort again, and highly recommend it! The resort was beautiful and compact. It was also not crowded since we went in the off-season, so there was no fighting for a lounge chair by the pool. One recommendation I would make, however, is to skip paying extra for an ocean view room as the “ocean view’ is quite obstructed by the buildings in front of the Village building. We could see a small strip of ocean above the rooftops. 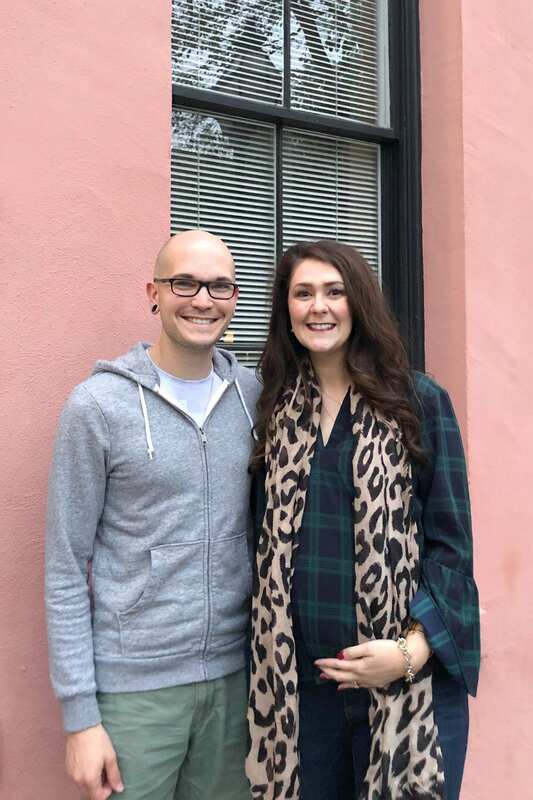 Ok, we have a bunch of favorite places to eat in Charleston, so I’m just going to cover where we ate at on our babymoon. Because let’s be honest–what’s a babymoon without good food?! 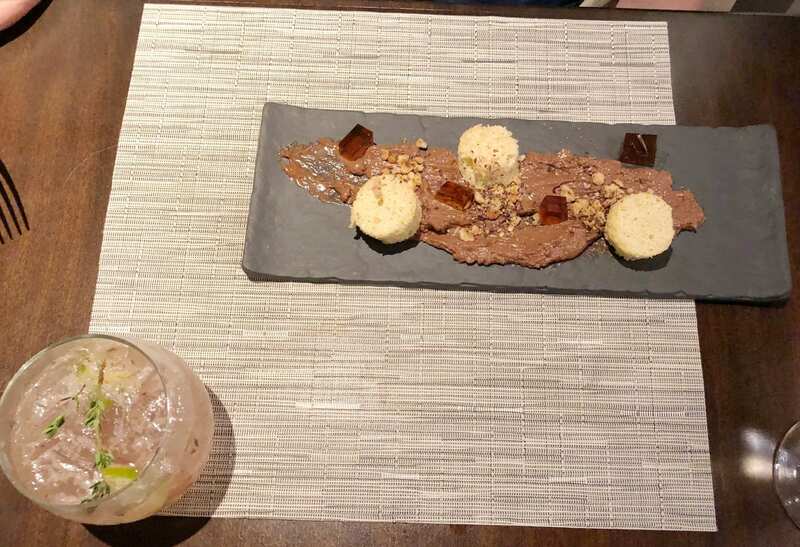 We chose to go less fancy (think $$-$$$ as opposed to $$$$) and focused more on trying new places that we hadn’t eaten before, with two favorites thrown in for good measure. Papaw (Downtown Charleston, SC): This was our first time eating at Pawpaw’s, and we both really enjoyed it! 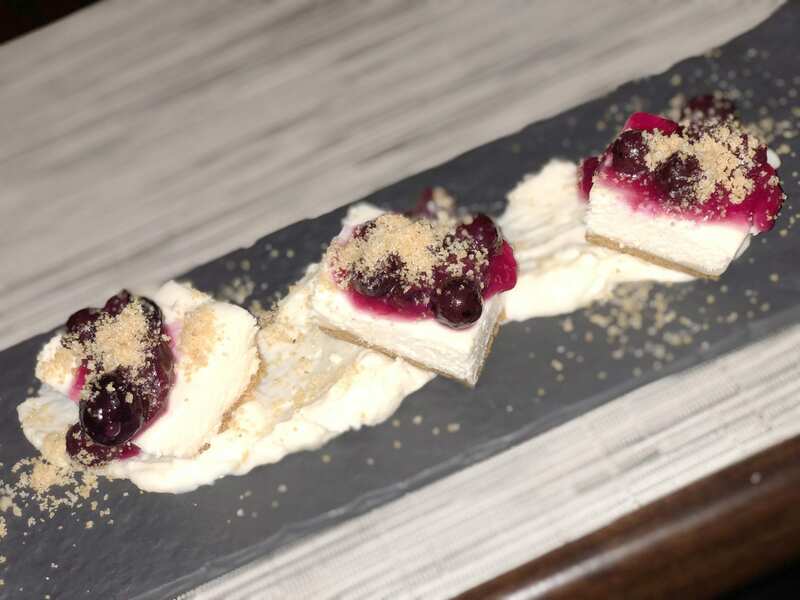 Pawpaw is a modern restaurant focused on Southern fare. 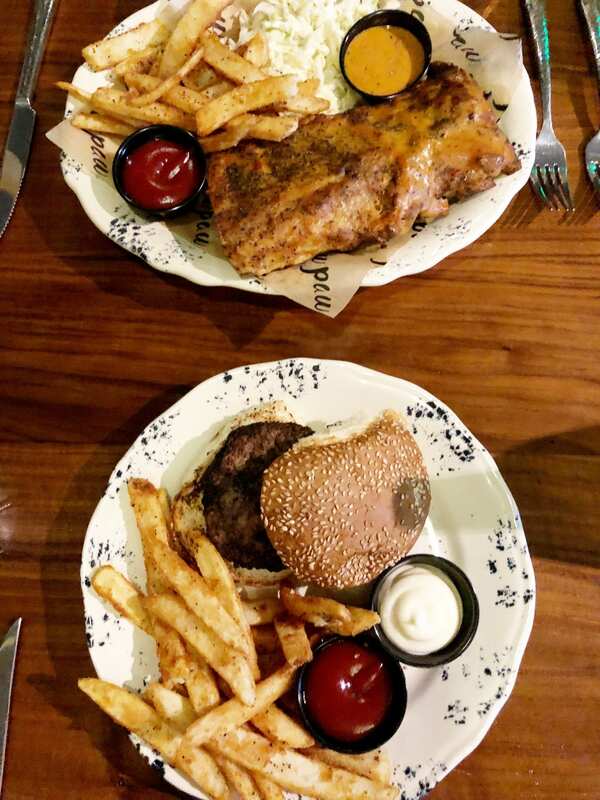 Chauncey had the ribs, while I had a burger, and we devoured our food. The french fries were top-notch (I’m a french fry connoisseur) and the portion sizes were generous. And they had a good bourbon selection, which made Chauncey happy. 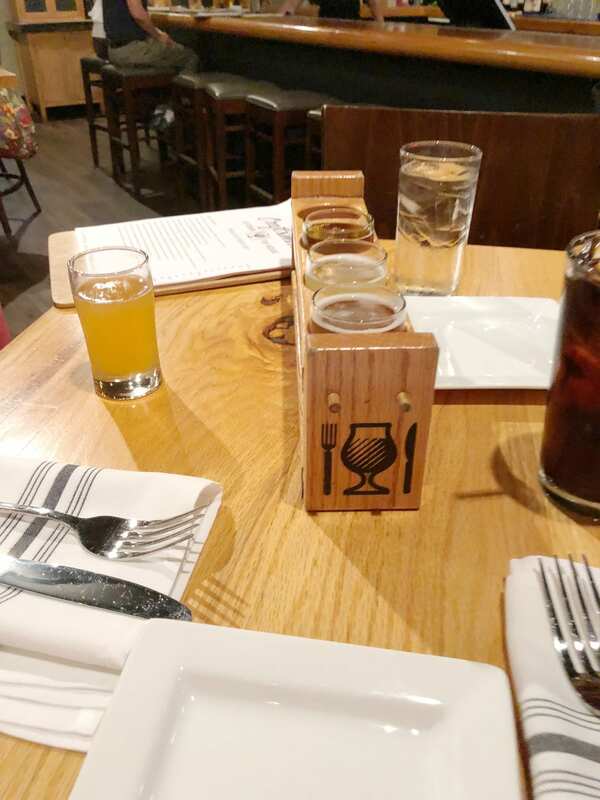 Craftsmen Kitchen & Tap House (Downtown Charleston, SC): This was Chauncey’s pick of where to eat our first night in town. He really enjoys trying local beers when we travel, and he tried a flight here. As for food, Chauncey got a stromboli from the chef’s features while I got a pizza, and we split the crispy Idaho potatoes with garlic aioli. The pizza was my favorite part, as it was cooked to perfection. This tap house also offers indoor and outdoor seating, but we chose to sit indoors as it was a little cool that night. 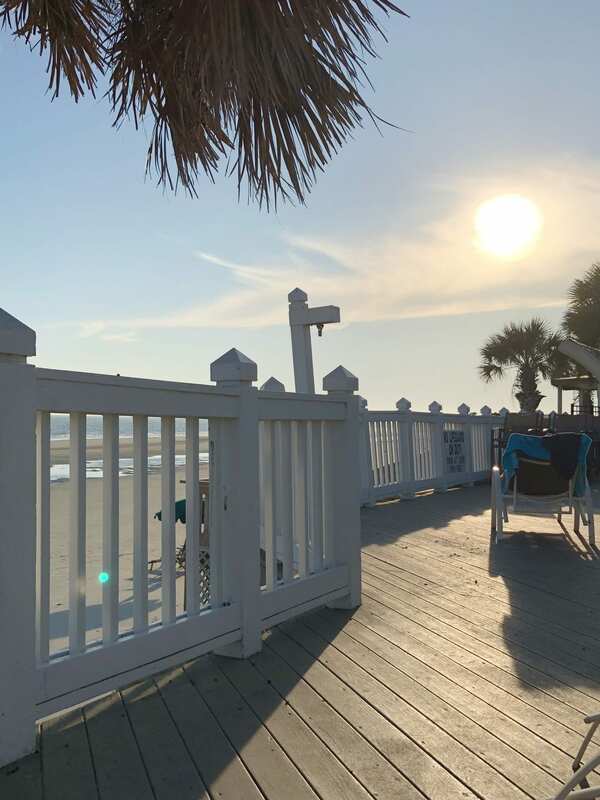 Bohemian Bull (Folly Beach, SC): The Bohemian Bull is our favorite restaurant that we just couldn’t pass up! We drove out here for lunch one day, and it didn’t disappoint. Bohemian Bull is American pub fate with a focus on amazing burgers. Chauncey got the Big Texas burger with a sald, and I had my usual plain burger with their shoestring fries. We have never had a bad experience at Bohemian Bull since we discovered it on our very first trip to Charleston in 2013, and we always eat there when we’re in town. If weather permits, I recommend grabbing a seat on their patio as it is so laid back! The Salty Goat (Wild Dunes Resort, Isle of Palms, SC): The Salty Goat recently opened at the resort we stayed at, and we got to try it out for dinner our last night in Charleston. This is a fun, laid back little restaurant with a focus on barbecue. For dinner, I had the chicken tenders with waffle fries. Chauncey got the Lone Ranger meal with pulled pork, cheesy mac and cheese, stewed collards, pickles, and sliced bread with butter pats. He also had several drinks, including the bacon old fashion–it’s a bourbon drink infused with smoked bacon (fat), with candied bacon, muddled cheery, and an orange plus sugar. We finished the meal off with old-fashioned banana pudding, which was amazing. Needless to say, we were stuffed on good food! This is very much a place to go when you need comfort food. Jeni’s Ice Cream (Downtown Charleston, SC): Jeni’s is hands-down my favorite ice cream place, and Chauncey loves it too! I was a little disappointed that they didn’t have my absolute favorite, Savannah Buttermint, as it’s a summer flavor, but the Gooey Butter Cake was a close second. In fact, we had Jeni’s twice while we were in Charleston and I had the Gooey Butter Cake both times. Chauncey’s fav was the Salted Peanut Butter with Chocolate Flecks. 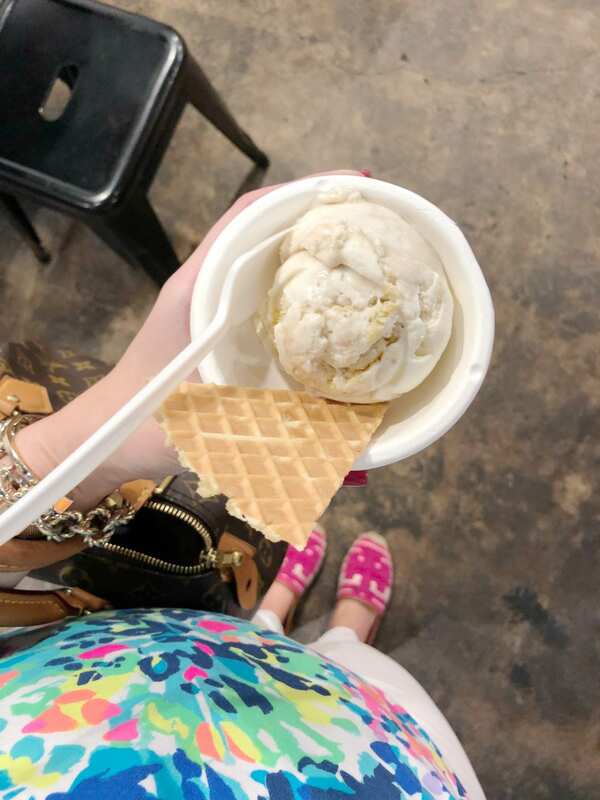 Jeni’s Ice Cream is dreamy! 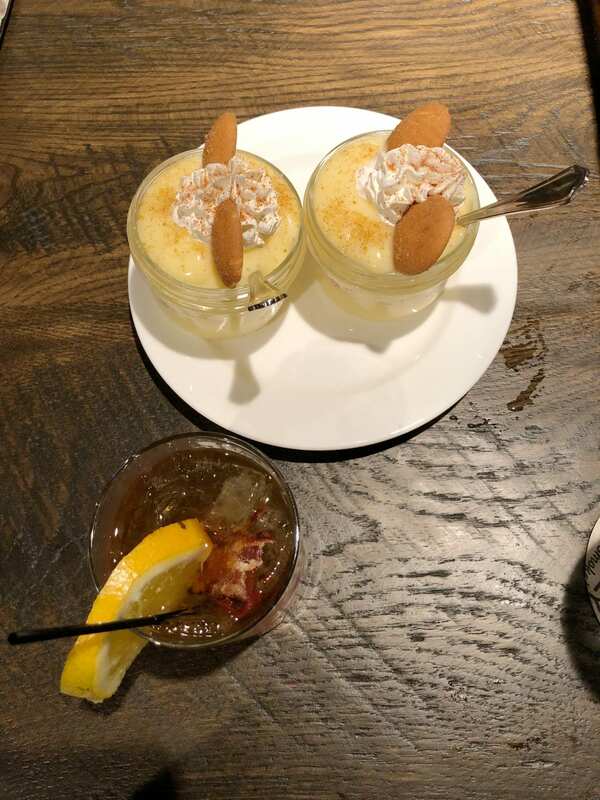 Coastal Provisions (Wild Dunes Resort, Isle of Palms, SC): We popped over to Coastal Provisions for dessert and drinks one night while at the resort. It was a short walking distance from our room, making it majorly convenient. I ordered the New York Style Cheesecake while Chauncey got the Nutella cake. The portion sizes were smaller than you would expect, but they packed a major flavor punch. Both of us cleared our plates. OK, since this as our babymoon, we really took it easy on this trip! We spent the first two days laying on the beach since the weather was warm. At the resort, there’s a pool overlooking the beach with lounge chairs and umbrellas that was very nice for laying out. When the weather took a cool turn on our last full day in Charleston, we headed to Folly Beach for lunch and then downtown to shop on King Street. King Street is where all the nice shopping is in Charleston. We usually tend to go-go-go on vacation, but it was nice to slow things down. 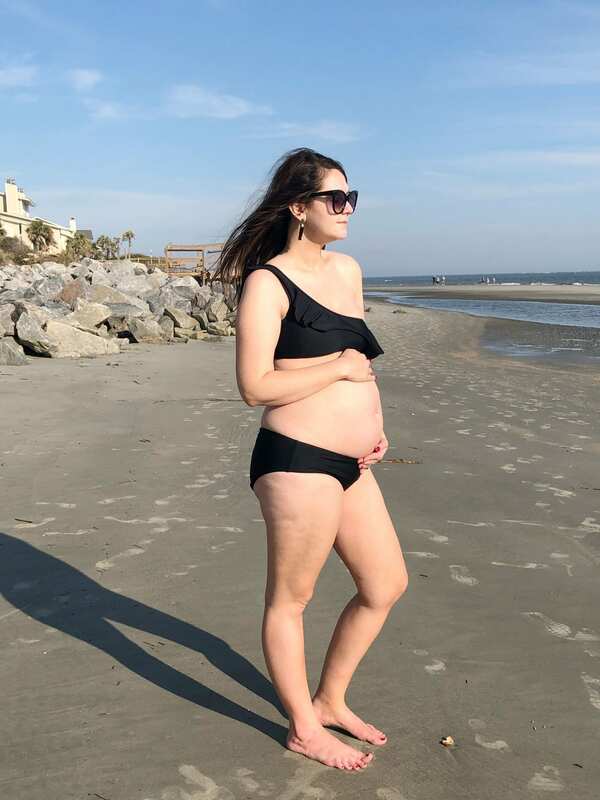 If you’re planning a babymoon or vacation to Charleston and are looking for things to do, checkout my other blog posts about Charleston, SC. 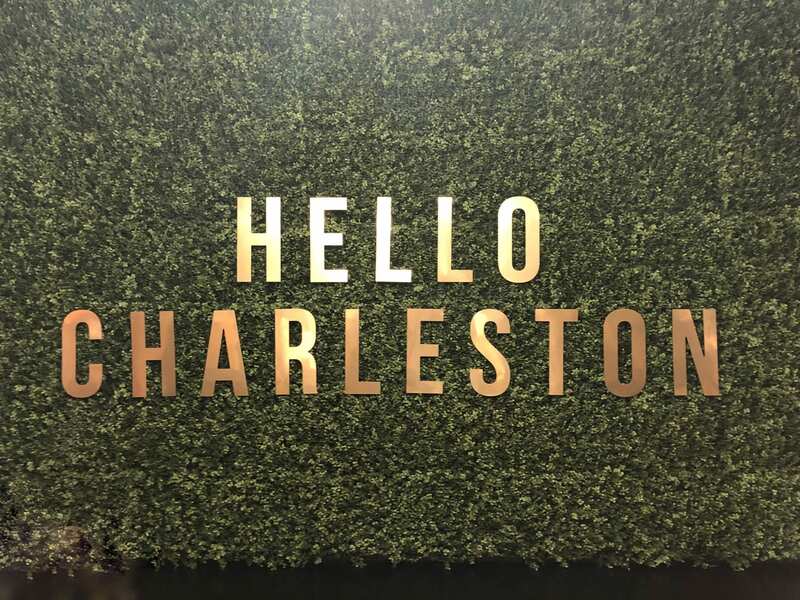 We’ve done tons of tours and visited different historical sites over our many trips to Charleston that I covered in my comprehensive Charleston, SC city guide. 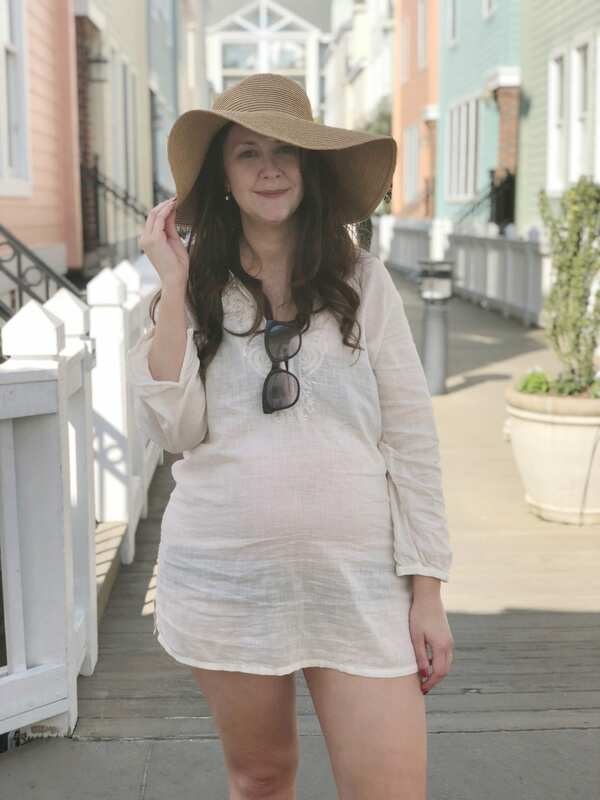 Overall, we had such a wonderful fall beach babymoon in Charleston, SC! It’s so important to remember that at the end of the day, you were a couple first, and still are a couple, even if you’re parents. While we were a little sad to leave Kane, he had a great time staying with family while we were gone. I like that we took this time before the new baby to focus on us and our relationship. 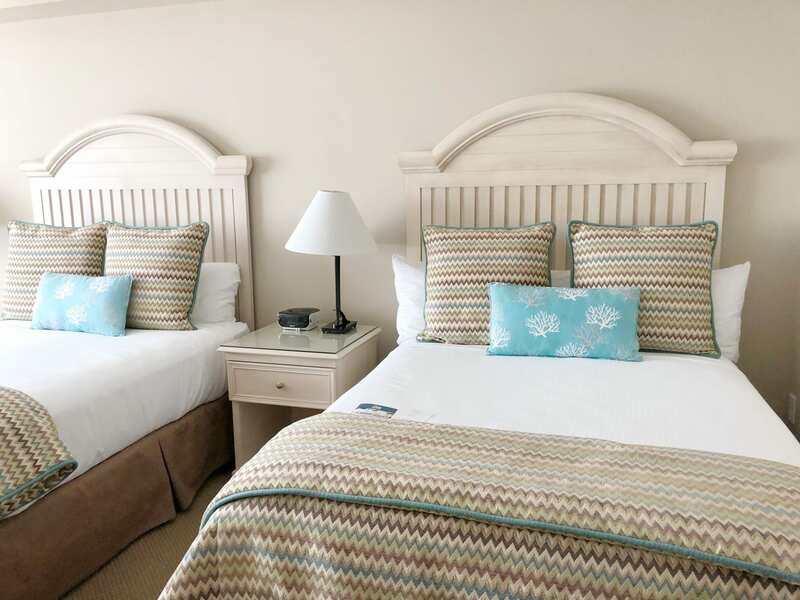 Be sure to checkout Wild Dunes Resort if you’re looking for a great location to stay at in Charleston! Aww so sweet! Glad you got to enjoy your baby moon! looks like a fun trip! Congrats! Hot momma! You look amazing. What a fun baby moon! I love Charleston! Haven’t been there in eons. You look gorgeous rocking that bump! Looks and sounds like such a great trip! This place looks amazing!! Such a fun baby moon, thanks for sharing! 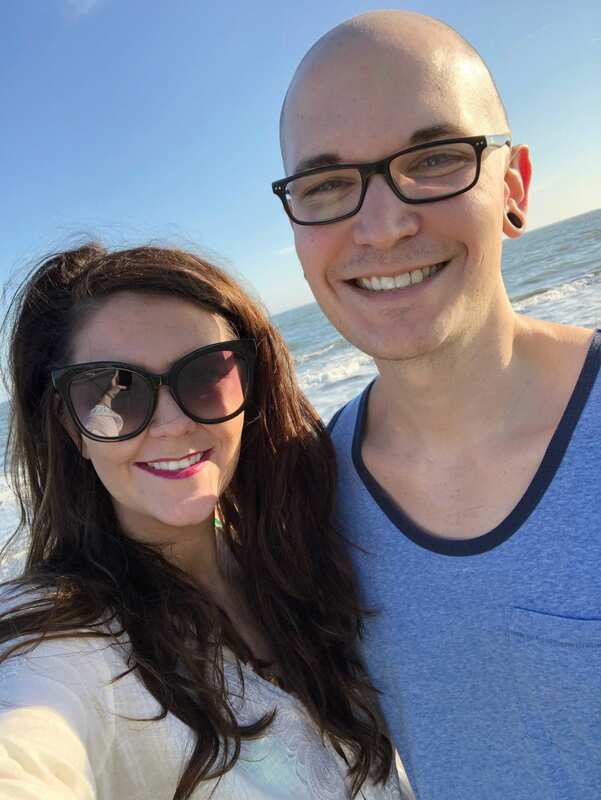 Such a fun babymoon! I’ve always wanted to go! This beach is so pretty! Congrats! Looks like a lovely trip! I am so happy for you! Congrats! What a great memories! Ahh Charleston is my absolute favorite! Glad you got to get away and relax!